Rejuvenate the body, calm the mind, heal the spirit and restore your body’s natural balance on our yoga and Pilates holidays. Whether you’re a beginner or an expert you can be sure to find the perfect yoga and Pilates retreat that suits you from our hand-picked list of destinations.Take in views of the stunning snow-capped mountains of Austria on a revitalising yoga holiday or escape to the beautiful sun-kissed island of Ibiza instead; wherever you wish to travel take inspiration from our 10 best yoga and Pilates holidays. Escape from the hustle and bustle of daily life at Parrot Cay, on one of the world’s best luxury yoga retreats; the perfect destination for a peaceful yoga and Pilates retreat. 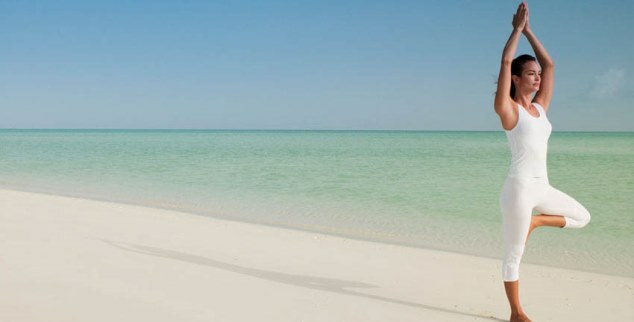 Enjoy complimentary daily yoga and Pilates classes, feel the soft sand between your toes as you practice yoga on the island’s beautiful white beaches and discover why yoga is so good for you. If you’re feeling adventurous explore the underwater world with a snorkelling trip or perhaps you’d rather glide along the surface on a paddle board. When you’ve finished exploring you can treat yourself to a relaxing treatment at the award-winning COMO Spa. Unwind and relax at this luxury Balinese sanctuary on a dedicated yoga, Pilates and luxury spa break. On arrival, wellness professionals will work with you to help you develop a personalised weekly spa programme ensuring you gain the most out of your spa holiday. Enjoy daily yoga or Pilates sessions alongside a number of other luxurious relaxing treatments, including rejuvenating body scrubs and soothing facials. With full access to the hydro facilities, fitness centre, steam room and sauna you will be spoilt for ways to fully relax and unwind on this peaceful yoga, Pilates and spa holiday. Priding itself on its first rate yoga and Pilates coaching Florblanca is the perfect destination for any yoga devotee. Indulge fully in your passion on this beach spa holiday and relax your mind, body and soul while taking part in specialised classes such as Vinyasa and Ashtanga yoga. The more adventurous traveller can explore the area’s tropical waters, trot along the beach on horseback and zip line through the trees at this luxurious wellness getaway. With six private yoga lessons alongside complimentary attendance to group classes and a relaxing hot stone massage you are sure to leave this wellness retreat feeling completely relaxed, rejuvenated and re-energised. Surrounded by acres of unspoilt rainforests and natural waterfalls this tranquil location is the perfect place to relax and unwind on a yoga or Pilates holiday. With daily one to one yoga or Pilates lessons, a relaxing daily spa treatment, a free skin consultation and complimentary attendance to a variety of exciting group classes you are sure to leave The BodyHoliday feeling fulfilled, refreshed and energised. From beginners yoga to more advanced variations such as traditional Ashtanga yoga there is something to suit all abilities on this luxury all-inclusive holiday. Discover the benefits of this ancient practice and reap the rewards on this healthy yoga and Pilates retreat. 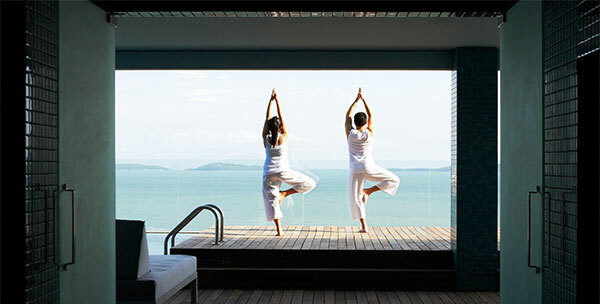 Restore, explore and transform yourself on this reviving wellness break at Point Yamu in Phuket. Unwind and de-stress as you lay back and relax in the jacuzzi and let your worries float away, before easing your weary muscles with a soothing signature COMO Shambhala massage at this luxury wellness resort. Relax your mind, body and soul with complimentary attendance to yoga and Pilates classes and enjoy the beautiful clear blue waters on a diving trip. Beautifully located for a luxury spa break, that is sure to leave you feeling completely rested and rejuvenated. 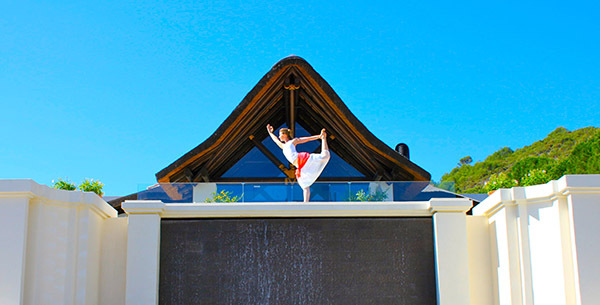 This luxury yoga retreat will help you find your balance mentally, physically and spiritually with dedicated yoga and Pilates reformer retreats allowing you the opportunity to tailor your wellness break to your specific needs. Discover the various types of yoga with an excellent range of classes including Hot Flow, Ashtanga, Yin, Yin-Yang, Pranayama & Meditation, Hatha, Pilates, Yoga Pilates and a special introduction to yoga for beginners all on offer. 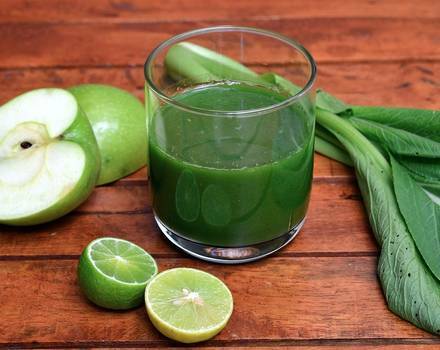 Take a holistic approach to wellness and enjoy delicious fresh smoothies and juices alongside relaxing aromatherapy massages on this yoga and Pilates holiday to help you feel refreshed and energised. 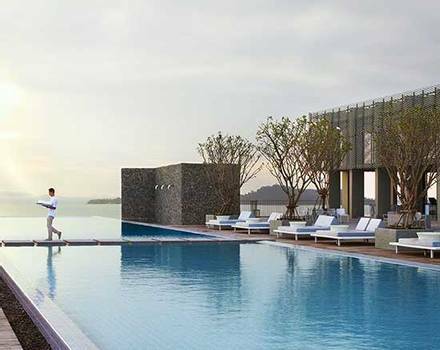 This secluded wellness holiday in Thailand, set within lush tropical gardens is the perfect destination for a healthy singles holiday. Rejuvenate your body, calm your mind and heal your spirit through the ancient art of yoga. During your private yoga sessions experts will guide you through a mix of styles incorporating Hatha, Vinyasa, Ashtanga or Iyengar yoga, developing a bespoke wellness programme that works for you. After an activity packed day you can ease your weary muscles with a deep tissue massage or lie back and relax in the Jacuzzi. 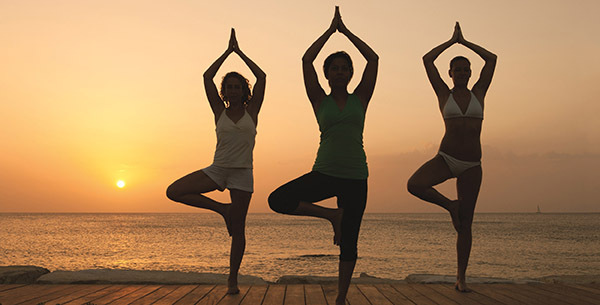 You are sure the leave this yoga and Pilates holiday feeling revitalised from head to toe. 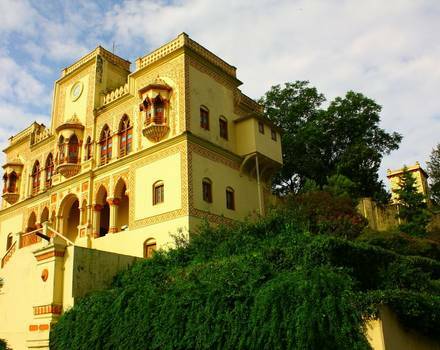 Experience the beautiful landscapes of India on this luxury private yoga and Pilates holiday. Develop an understanding of the benefits of yoga and improve your skills during private lessons and sociable group classes. Complement your yoga break with the mouth-watering Asian and Western healthy cuisine, making this an ideal destination for a detox retreat. There are a whole host of exciting activities to sample in your free time, ranging from cooking classes, water rafting and Pilates to energising fitness classes and therapeutic massages at the traditional spa. Come away feeling focused, flexible and ready to put your new-found practice into place. Find your inner-peace in Andalucía’s breath-taking Sierra de Las Nieves on a tailored yoga and Pilates holiday at Shanti Som. Perfect for solo travellers you can enjoy daily private and group yoga and Pilates lessons alongside fitness activities such as mountain biking, relaxing meditation and guided walking. For an exciting and interesting approach to wellness, try the holisitc healing therapies and discover the secrets of Ayurvedic medicine at the spa. However you choose to spend your time during your wellness holiday, you are sure to return home feeling refreshed and relaxed. Set amongst 8 hectares of verdant pine forest and gardens in Portugal, Epic Sana is a health and fitness holiday like no other. 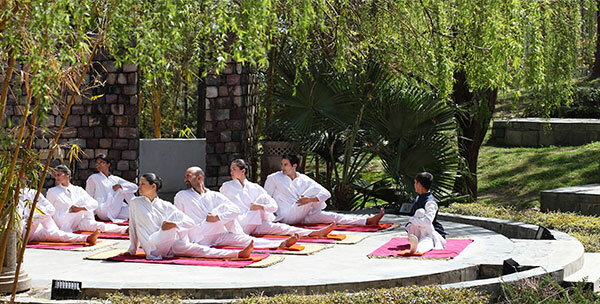 With a variety of classes to choose from including yoga and Pilates amongst other healthy activities such as mountain hiking, Tai Chi and aqua fit, you are certain to find something to satisfy your wellness needs on this activity holiday. With yoga and Pilates classes designed for all abilities everyone has the opportunity to take part and improve their skills. Featuring a broad range of naturalistic healing techniques and spa treatments including Pilates and revitalising body scrubs, you can be sure your stay will leave you revived and relaxed. Talk to one of our Travel Specialists on 1300 551 353 or contact us here to discuss tailor-making your perfect yoga or Pilates holiday.